The readings from the Thirteenth Sunday of Ordinary Time speak of the call to follow God’s call in our life. The Scriptures have many examples of men and women who did, and did not, follow God in the journey of their life. This weekend we also have a Saint who gives a faithful and powerful example of what it means to follow Christ. Bl. 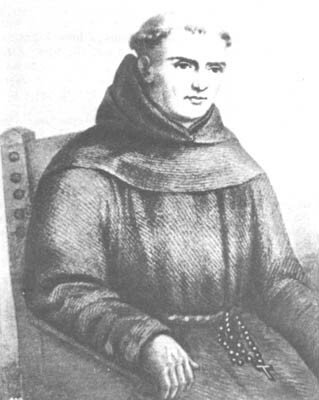 Junipero Serra (1713-1784) was a Franciscan missionary priest to California. He is credited for founding the California Missions, some of which are still active Parishes to this day. Contemporary secular bias often seeks to blame Fr. Serra and the Church for the oppression and loss of culture and life among the native American Californian tribes. More accurate history would indicate that while seeking to share the Gospel of Christ with the native Californians the Church was often the strongest defender of these people from the military, greed, and corruption of the secular colonial forces. This also helps us to understand Fr. Serra as a dynamic example of a man sharing, living and defending the Kingdom of Christ in a world that was often hostile to the truth of God’s love. As he simply sought to follow Christ in faithful obediience Fr. Serra was lead to new frontiers of mercy and grace for the Kingdom of God. Bl. Serra pray for us! Pray for the Church here in California.